Packing up this morning and heading to Denali National Park for 3 nights of camping. Not sure what Internet connection will be like there, so may be “off the grid” again for a few days. Next stop after that is Anchorage. Will be back in blogging action there. This entry was posted in Uncategorized on July 19, 2014 by Addie. Having heard horror stories about possible delays at the ferry across the Yukon River and crossing the border, Addie and I decided those irritations could be solved just by being first in line. 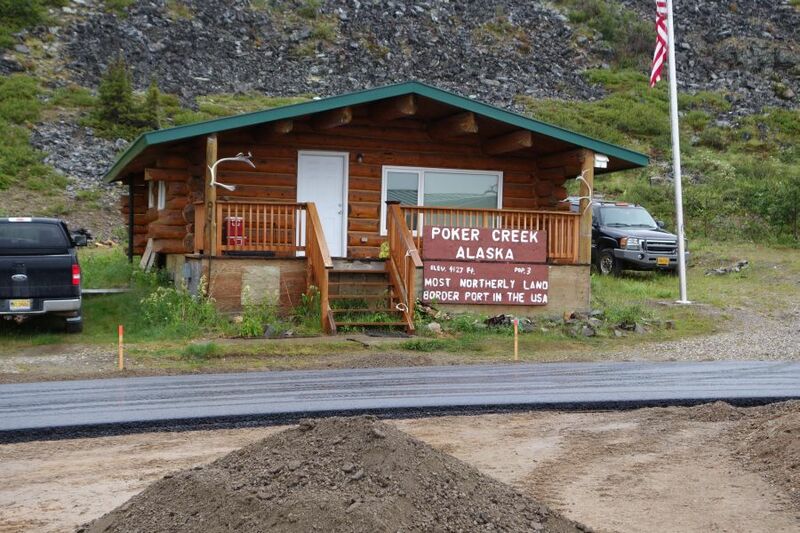 The plan worked perfectly, but when we reached the Yukon Territory-Alaska border, the road was closed for paving. After waiting an hour-and-a-half, the woman apparently supervising the paving project, said we could proceed, but gave us very explicit instructions as to where to drive. We believed we followed her instructions exactly. Maybe she gave us too much credit, believing we would figure things out as we proceeded. By the time we got back to the check point, another couple, following the same instructions we had, had done the same thing and been stopped by the senior officer at the checkpoint. Much to the disappointment of the officer who had apprehended us, the senior office recognized it as innocent mistakes and sent us on our way. This entry was posted in Uncategorized on July 19, 2014 by Ernie. Traveled from Dawson City, Yukon Territory to Alaska via the Top of the World highway. I got to enjoy the spectacular scenery (and crazy drop offs) while Dad (driving) white knuckled it. Think his insistence on driving had something to do with my driving skills, but didn’t mind soaking up the view 🙂 We were sky high and there were no stretches that qualified as straight (or smooth- most of road was unpaved). We had the highway to ourselves, which was great considering the width of the road in places..and that fact that guard rails were non-existent!! We “cruised” across the mighty Yukon River and into Alaska on the one year anniversary of the night we sat at the Mellow Mushroom in Columbia and dreamed up this adventure. I’m sure the novelty wears off quickly if it is part of your daily routine, but I felt like a little kid..ferry rides are fun! 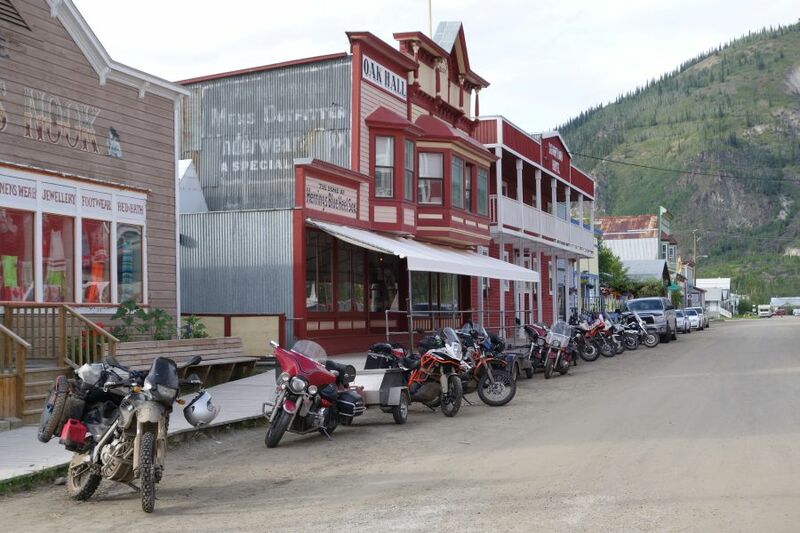 Alaska remains a popular destination for motorcyclists. Many riders are seen everywhere on all kinds of bikes. This is purely anecdotal, but it appears to me that KTM’s have gained disproportionate ground with the adventure tourer crowd. They are prevalent everywhere.